OUR SOCIAL AND THERAPEUTIC SERVICES ALLOW PARTICIPANTS TO EXPERIENCE SOMETHING NEW. 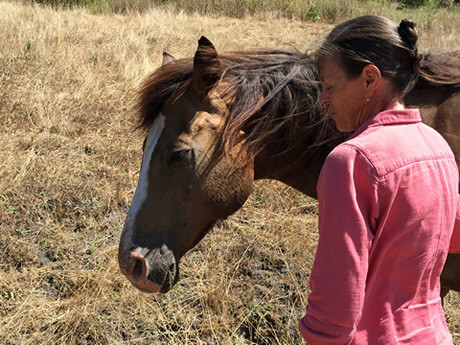 The human-horse connection is especially powerful as the nonverbal responses and behaviors of horses often act as mirrors to participants and help to provide clarity, strength and healing. Our workshops are designed for people living with early stage dementia and their primary care partners (typically a spouse, friend, family member). The workshops include a series of three to seven days of facilitated programs with horses. No prior experience with horses is necessary. Participants do not ride; they engage with horses from the ground. Our experienced facilitators lead participants through a variety of THERAPEUTIC activities including observing horses in pastures or stalls, over the fence introduction to horses, grooming, leading, and group exercises on how horses teach us to gain awareness, relax and self regulate our responses. The work with the horses and facilitators helps participants to gain clarity, adjust patterns, define changing roles and to release emotions such as fear, grief and negativity while learning to be fully present in the moment. Horses are masters of perception, connection and caring, they have a profound, immediate and lasting effect on persons living with dementia and their care partners. Horses are herd, prey animals. For centuries horses have relied on their abilities to adapt to change, sense their environment, self regulate, and utilize the interdependence of the herd to thrive. Facilitators bring awareness to these instinctual characteristics while encouraging participants to utilize the power of connections and to build awareness and skills to adapt to changes. The connection between people and horses is proven to be therapeutic in many populations due to the nonjudgmental, unconditional interactions animals offer humans. The human-horse connection is especially powerful as their behaviors often reflect the energy or emotions of the participants. Their responses can lead to deeper understanding and self compassion. 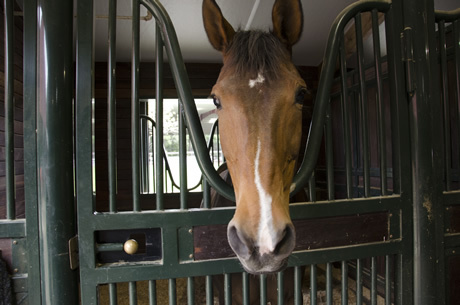 Connected Horse facilitator training is offered at various barns and therapeutic equine centers throughout the country. Learn more.